A footballer's greatest ever individual recognition that he will get in his career is the Ballon d'Or. Presented by France Football, the gong has gone on to be recognized as one of the biggest footballing awards on the planet. 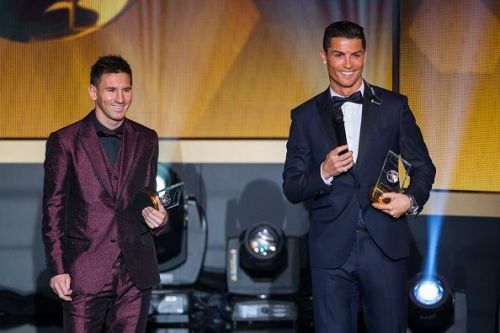 The past decade has been ruled by two gentlemen but the history of the Ballon d'Or before the era of Cristiano Ronaldo and Lionel Messi is pretty exciting as well. Most of us know that the awards were started in 1956, and at that time it was widely known as the 'Golden Ball'. Also, between 2010-2015, FIFA and the France Football magazine decided to merge the Ballon d'Or with the FIFA player of the year award. English players have had a tough time in the Ballon d'Or nominations since 2012. Before Harry Kane's nomination this year, Jamie Vardy was the only other player to receive a nomination. Paul Scholes of Manchester United, on the other hand, was a nominee on five occasions, but sadly, never received a single vote. Similarly, Karim Benzema of Real Madrid was nominated in 2009 but could not garner a single vote. One more surprising fact for you - Sunderland's Asamoah Gyan was the second highest placed Ballon d'Or nominee from the Premier League in 2010. There have been an insanely high number of surprises with the Ballon d'Or nominations and votes since its inception. Also, the clubs that the winning players represented back then sure raised eyebrows. Blackpool for instance, have more Ballon d'Or winners than Arsenal and Chelsea and the same number as Liverpool (1). Sir Stanley Matthews won the first ever Ballon d'Or in 1956 when he was with Blackpool. What if we tell you that Jamie Carragher and Cristiano Ronaldo were tied in the Ballon d'Or rankings? Yes, this did happen in 2005 when Carragher and Ronaldo were joint 20th in the rankings. Also, clubs like Cardiff (Ivor Allchurch in 1965), Scunthorpe (Ken Jones in 1959) and QPR (Don Givens in 1975) have also been nominated once on the big stage. Ballon d'Or winners 2000-2010: Where are they now?